If the thought of working outside every day sounds like a breeze, you might be in for a surprise. A new study reveals that in any given week, you can expect 46 percent of the landscape industry to be working overtime. And not just a little overtime, either. We’re talking 50-hour weeks, on average, over the course of the year. How do we know this? 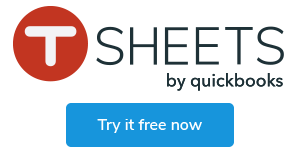 TSheets analyzed 981,647 anonymous timesheets created by the employees of 354 landscaping companies in the US, between January 2015 and April 2018. And there were more than a few surprises. Landscapers aren’t the only ones working overtime. For one, if you thought summer would be the busiest time of the year for landscapers, you’d be wrong. Yes, August is a busy month — with 43 percent of the workforce working 40.3 hours on average per week and the other 57 percent putting in an extra 10.1 hours of overtime — but it’s not the busiest month. As anyone who works in the industry will no doubt already know, May is when things get really slammed. When we looked at the average number of hours landscapers worked each month over the past three years, we found, during May, there were more landscapers working more overtime hours than at any point in the year, including June, July, and August. Across the three years of data we analyzed, the normal (non-overtime) hours landscapers worked in May matched the annual peak in August — 40.3 hours per week — but their overtime hours were even higher, rising to 10.3 hours per week. Not only that, but the number of people working overtime in May was also greater, at 58 percent of the workforce. In an industry that employs 912,360 people, that’s equivalent to 529,168 landscapers working four 50-hour weeks consecutively. Over the year as a whole, as we’ve seen, close to half of the workforce will be working overtime in any given week. But how much overtime exactly? On average, the timesheets show 9.4 hours per employee, which adds up to 49.4 hours in total each week. As you might expect, December tends to be a quieter month for many, when the average number of non-overtime hours drops to just 32.3 per employee, per week. But we were shocked to learn that even during this first month of winter, 31 percent of the workforce was still working overtime — presumably on essential snow clearance jobs. In fact, these workers work more overtime during December than during either of the peak summer months, averaging 10.4 hours in December compared to 10.1 hours in August and 10.3 hours in May. Yes, working outdoors may be good for the soul, but it’s no picnic. Landscapers, we salute you. YOU. WORK. HARD. Even during the winter, when we think you’re not. job site — free for 14 days! Simon is a Brit who’s learning the American language fast. Originally from Surrey, south of London, he emigrated to the U.S. in 2015 after a five-year stint in sponsorship for British Olympic and Paralympic athletes. Before that he was a travel writer, writing a travel tips book as well as magazine features about Britain, Australia, Africa, and South East Asia. When he’s not tapping out articles he can be found running, cycling, and having fun with his three kids.